The choir will be returning to the Theatre at this Mill for its annual concert next May. 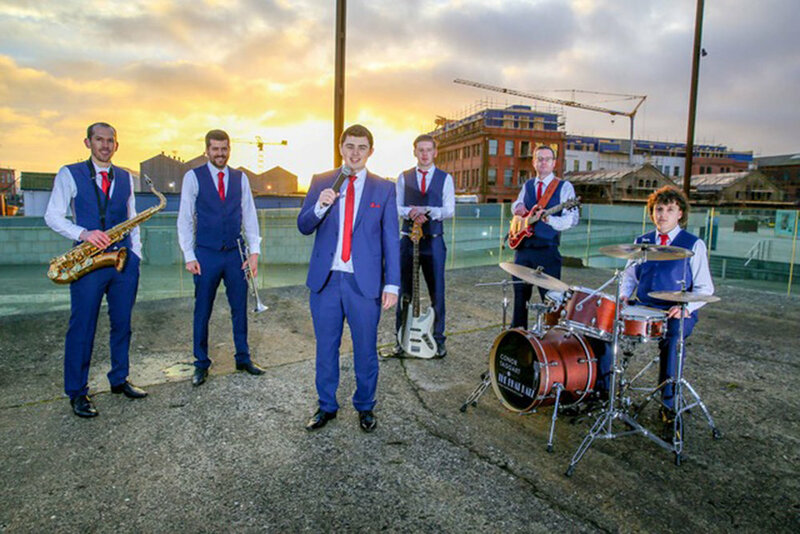 Guests next year will be Conor Taggart and The Phat Katz. Compere again will be the wonderful Gene Fitzpatrick. Two years ago the Steeton Male Voice Choir from Yorkshire toured Northern Ireland and The Clare Chorale arranged a joint concert with them in the Courtyard Theatre, Ballyearl. There was an invitation extended by the men of Steeton to visit them at some time so The Clare Chorale has gladly accepted the invitation and is going on tour for only the second time since its formation. Travel and accommodation have been organised and final arrangements are being made for singing engagements with a visit to Bradford Anglican Cathedral on Saturday, 1st June, being confirmed. It should be a great tour with everyone really looking forward to the joint concert with Steeton MVC in the cathedral. The building itself is magnificent and it should be a wonderful place to sing. PLEASE NOTE - ALL TICKETS FOR THIS EVENT HAVE NOW BEEN SOLD AS OF 14TH MARCH! The choir enjoyed a very successful charity concert in the wonderful surroundings of the Great Hall in Parliament Buildings last season and hope to repeat this success again in March 2019. The choir will be joined by the children of Kilbride Central Primary School senior choir, as well as other pupils from Ballyclare High School so it will be a wide and varied entertainment programme. Dr Steve Aiken OBE, who is the local MLA in Stormont, has very kindly agreed to be our parliamentary sponsor once again. This year’s chosen charity is Action Mental Health and we hope to raise much-needed funds for this very worthy cause at the concert in Stormont. Set in the atmospheric surroundings of St Patrick’s RC cathedral in Armagh composer and presenter, John Anderson, has invited choirs from all over Ireland and beyond to come together in this magnificent building for an evening of celebration of St Patrick. John Anderson himself will be conducting the combined choirs but he has invited The Clare Chorale to take part in this unique event which will be recorded and streamed across the world. The choir is honoured by this invitation to take part and to sing a number of individual pieces as part of the evening’s programme. Tickets are priced at £5.00 and the main event begins at 7:30pm (to be confirmed). The choir will be on the road early as they visit Portstewart for a Christmas concert in the Presbyterian church hall in Central Avenue. A number of shops in the town have tickets for sale or contact Cathy on 07743 751478 for information on how to get them. Price £10.00.